Chubaty, Mykola [Чубатий, Микола; Čubatyj] (Nicholas), b 11 December 1889 in Ternopil, d 10 July 1975 in Paramus, New Jersey. Historian of the Ukrainian church and Ukrainian law, Ukrainian civic and Catholic leader, pedagogue, and publicist. Chubaty was a full member of the Shevchenko Scientific Society from 1928 and the founder and first president of the American branch of the society. In 1939 he went to the United States to attend the Pax Romana congress and settled there. In 1909–18 Chubaty studied theology, history, and law at Lviv University and Vienna University, and studied under Mykhailo Hrushevsky and Oswald Marian Balzer. He served as professor of the Lviv (Underground) Ukrainian University (1920–3), the Greek Catholic Theological Seminary in Lviv (later, Greek Catholic Theological Academy) (1927–39), the Ukrainian Free University, and the Ukrainian Catholic University in Rome (from 1963). His principal works on the history of the Ukrainian church are ‘Zakhidna Ukraïna i Rym u XIII v. u svoïkh zmahanniakh do tserkovnoï uniï’ (Western Ukraine and Rome in the 13th Century in Their Striving for Church Union, Zapysky NTSh, vols 123–4, 1917), ‘Pro pravne stanovyshche Tserkvy v Kozats'kii derzhavi’ (The Legal Status of the Church in the Cossack State, Bohosloviia, vol 3, nos 1–2, 1925), Istoriia uniinykh zmahan' v ukraïns'kii Tserkvi (The History of the Aspirations for Union in the Ukrainian Church, 2 vols, 1937), and Istoriia khrystyianstva na Rusy-Ukraïni (The History of Christianity in Rus'-Ukraine; vol 1 to 1353; vol 2 to 1458; 1965, 1976). In these works Chubaty emphasized the importance of Christianity in Ukrainian territories prior to the reign of Prince Volodymyr the Great and defended the theory of the Tmutorokan origin of the Kyiv hierarchy and the autonomous status of Kyiv metropoly. His works on the history of Ukrainian law include Ohliad istoriï ukraïns’koho prava: Istoriia dzherel ta derzhavnoho prava (A Survey of the History of Ukrainian Law: A History of Sources and State Law, 2 vols, 1921, 1922, 1947, 1976); ‘Derzhavno-pravne stanovyshche ukraïns'kykh zemel' lytovs’koï derzhavy pid kinets' XIV st.’ (The Political-Legal Status of the Ukrainian Lands in the Lithuanian State at the End of the 14th Century, Zapysky NTSh, vols 134–5 and 144–5, 1924), and ‘Literatur der Ukrainischen Rechtsgeschichte in den Jahren 1919–1929,’ Przewodnik historyczno-prawny, vols 2–4, 1930). In these works Chubaty formulated a scheme for the history of Ukrainian law. 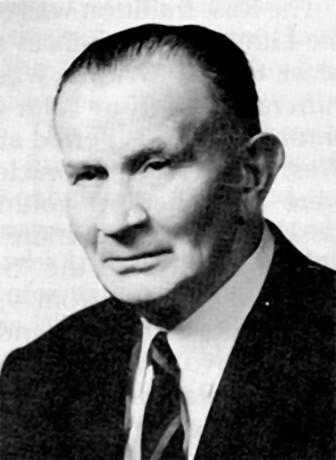 His general historical works include ‘Kniazha Rus'-Ukraïna ta vynyknennia tr'okh skhidn'o-slovians'kykh natsii’ (Princely Rus'-Ukraine and the Emergence of Three East Slavic Nations, Zapysky NTSh, vol 178, 1964). Chubaty’s journalistic articles appeared in Galician papers and journals such as Nova rada (Lviv), Dilo, Dzvony, the weekly Meta, , and theweekly Pravda, and American papers such as Svoboda and Ameryka (Philadelphia). He was a co-founder of the Ukrainian Congress Committee of America and the editor of its periodical the The Ukrainian Quarterly (1944–57). As a Catholic activist he was president of a section of Pro Oriente of Pax Romana, participated in Pax Romana congresses, and cofounded the Obnova Society of Ukrainian Catholic Students. In the 1960s and 1970s he was active in the movement to establish a Ukrainian Catholic patriarchate. 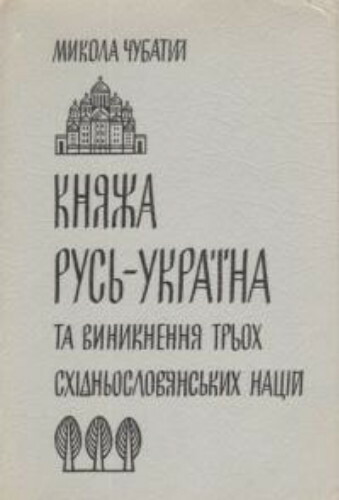 A festschrift in Chubaty’s honour, U poshukakh istorychnoï pravdy (In Search of Historical Truth), edited by Hryhorii Luzhnytsky and Yaroslav Padokh, was published in 1987 as Vol 205 of ZNTSh.